Dr. Prashant has been a fertility specialist for almost 25 years and remains fascinated by the art and science of “making” babies. He continues to help childless couples achieve a successful outcome, but on a larger scale, is committed to making fertility treatment accessible to all Malaysians who need it. To this end, he gives freely of his time, knowledge and information to multiple government and NGO initiatives. Dr. Prashant qualified as a doctor from Universiti Malaya in 1982, obtained his specialist degree in 1989 after training in UK, and has been an Infertility Specialist since then. In all, he has had over 24 years experience in infertility and IVF. Infertility can be a very distressing problem for a couple. Our philosophy is to make your fertility treatment as comfortable and personalized as possible. Dr. Prashant sees, assesses and personally overseas each patient’s treatment from start to finish. Every couple is different and the treatment plan offered is individualized to suit the couple’s needs and beliefs. Dr. Prashant studied Medicine at the University of Malaya between 1977 and 1982. After completing his internship at University Hospital, Kuala Lumpur, he left Malaysia to continue his Obstetrics & Gynaecology training in the UK. During his 8 years in the UK, he worked at some of the most prestigious hospitals in London including St. Bartholomew’s, Guy’s, Middlesex and University College Hospitals. He obtained his specialist qualification (MRCOG) in 1989 and chose to further sub-specialise in the field of infertility. At this time, infertility was a new and exciting field to be in, and training opportunities in the UK were very rare. He was fortunate to be selected to train with Prof. Ian Craft, one of IVF’s early pioneers. He spent the next two years (1989-1991) at the London Fertility & Gynaecology Centre in Harley St., where he was involved in cutting-edge infertility research and treatments which have now become a routine part of infertility management. In 1991, Prof. Ian Craft and the London Fertility Centre were invited by the Dept of Health, Dubai to establish and run the Dubai Fertility Centre in the United Arab Emirates. Dr. Prashant was seconded to Dubai to set up the center from scratch. This fertility centre grew to become one of the largest fertility centres in the Middle East doing over 500 IVF and GIFT cycles a year. Upon his return to Malaysia in 1997 he re-joined University Hospital and set up the IVF unit there. As Associate Professor, he was responsible for teaching students and resident doctors, and to this day, maintains an active interest in research and training. He is regularly invited to speak at public forums as well as at medical conferences on fertility issues. 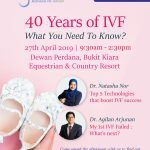 In 2001 he left University Hospital to set up private practice and was appointed Clinical Director of IVF services at Pantai Hospital Kuala Lumpur from 2002-2009. When the Petronas-owned Prince Court Medical Center was being set up, he was invited to commission their IVF unit as a turnkey project. 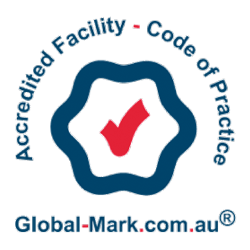 This two-year project involved designing, commissioning, training and staffing and was completed and delivered to the hospital ahead of schedule. Having set up four other successful IVF programs for others, he now runs his own comprehensive facility incorporating all the valuable experience he has gained in planning and executing all aspects of a successful fertility program. On a national front he is actively involved in helping to set standards in fertility practice and serves on several technical committees for the Ministry of Health, Academy of Medicine Malaysia, Ministry of Science, Technology & Innovation and the Malaysian Society for Quality in Health. From 1989 – GIFT, IVF & Frozen Embryo Replacement babies. From 1990 – Ovum Donor and Surrogate babies. From 1993 – PESA & TESA babies. From 1993 – ICSI babies. In recognition of his fertility-related work for the Tunku Azizah Fertility Foundation (TAFF) as well as his voluntary involvement at various national-level fertility initiatives, he was awarded a Dato’ title by the Sultan of Pahang. He has also been awarded the Fellowship of the Royal College of Obstetricians & Gynaecologists in the UK. 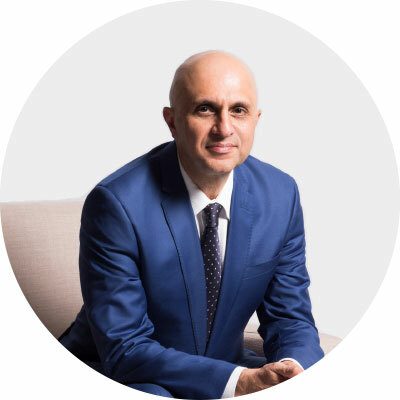 More recently, in view of his experience, he was invited to be an international partner of Australia’s leading fertility services provider, Monash IVF. 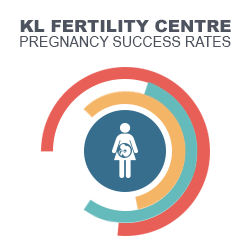 With this partnership, KL Fertility offers all the latest fertility techniques, on par with international standards.